When I became a mom to twins, I quickly became very familiar with the logistical bumps in the road that comes with having multiples. Although I had two kids already, having twins was a whole new ball game and I couldn’t fully prepare myself for some of the problem solving I would have to do. From getting both babies out the door safely and nursing two babies at night, to bathing two babies and soothing two babies when they cried, there was a lot of difficult situations I had to navigate. But there was one frustrating twin-specific scenario that I would run into over and over again, which I never fully mastered. When one baby got sick, her sister was always the next victim. This was because they would share everything from bottles to spoons. Occasionally I would try to separate sippy cups, spoons and bottles, but when the inevitable chaos hit, I would either forget who’s was who’s or give up out of sheer exhaustion. 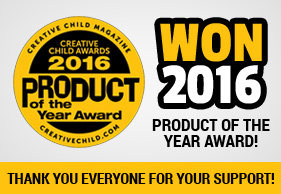 As a parenting blogger, I am contacted fairly often about new products and Kick Starter campaigns. Unless, (as a seasoned mom), I really think I would use the product, I will often pass over them. But recently I was contacted by the Karpinsky family, who also happen to have identical twin boys. They have thought up the most genius idea that I wish I had when Mia and Everly were little. This idea is the Baby A & Baby B Twin Feeding Set. 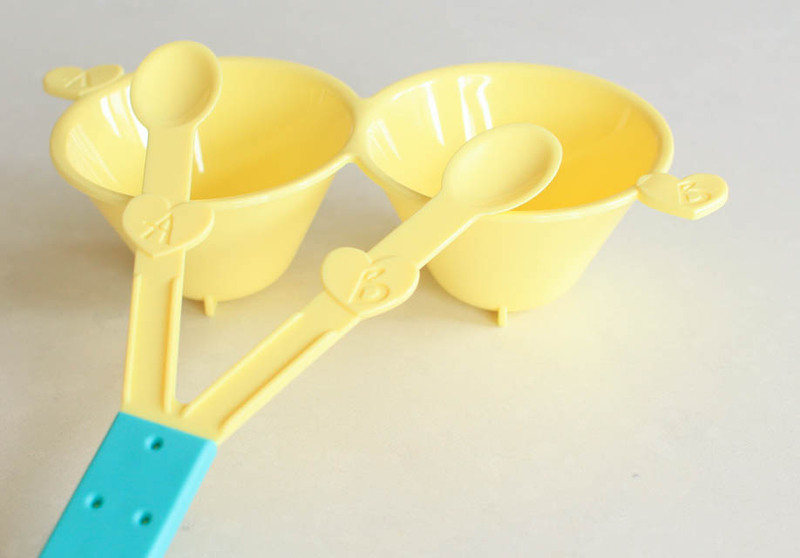 This dishwasher safe, dual spoon and dual bowl idea not only cuts time in half while feeding your twins, it also stops the spread of germs. For parents like us, who tried and failed at switching spoons while one twin was sick, this is the perfect solution. We also know how impatient hungry babies can be, and switching spoons and juggling two bowls can be very time consuming, making your little ones frustrated. This cuts down on time, making feeding your twins less of a frustrating process for everyone. So, now you know. 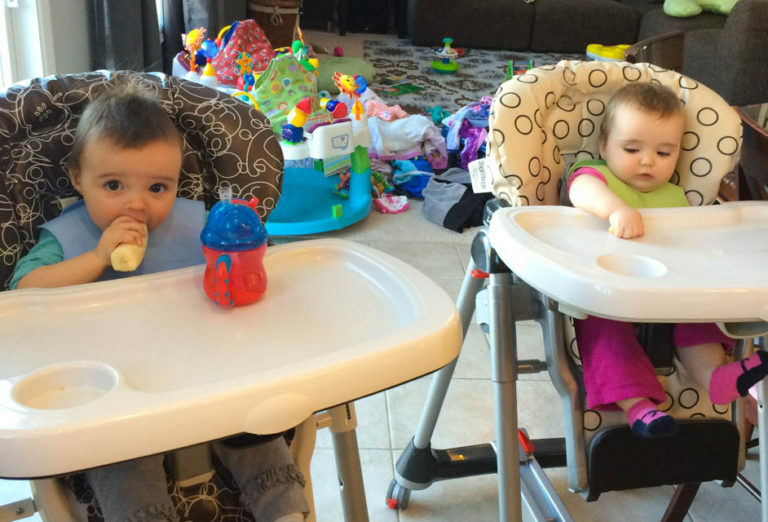 Feeding time doesn’t have to be a painful process and germs do not have to spread to the other twin. 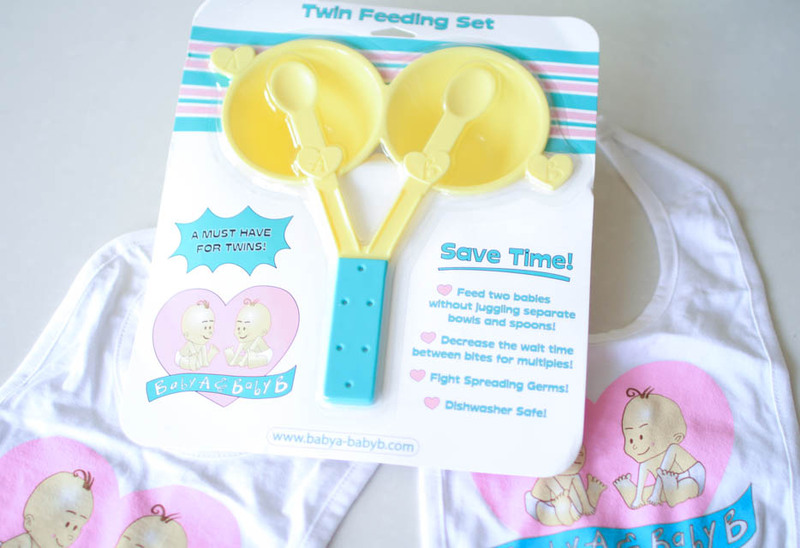 You can order your own twin feeding set from Baby A & Baby B’s website, www.babya-babyb.com. This product is also a great gift idea for someone who is expecting twins! Don’t forget to follow Nesting Story on Facebook, Instagram and YouTube, to find out other ways we are navigating life with twins!